As the largest specialist public hospital of its kind in Australia and a leading teaching hospital, the Women’s has the most comprehensive training program in obstetrics and gynaecology in Victoria, providing Diploma or Fellowship pathways. We employ approximately 130 JMOs each medical clinical year. This includes hospital medical officers, Integrated Training Program trainees, Level 4/5 Royal Australian and New Zealand College of Obstetricians and Gynaecologists (RANZCOG) trainees, unaccredited registrars, paediatric trainees, anaesthesia trainees, career medical officers and basic/provisional/advanced trainees. Women’s Health [SB2] employs JMOs directly or has trainees allocated through RANZCOG training programs. There are also opportunities to rotate into the Women's from other health services across Victoria as part of a joint hospital recruitment program and associated secondment agreements. These rotations offer a range of medical placements relating to women’s health in metropolitan and rural/regional hospitals across Victoria and in their catchment areas. The Maternal Fetal Medicine service manages women with high risk pregnancies in association with the other relevant departments, and undertakes clinical research into pregnancy disorders. These positions offer an experience in all aspects of MFM. Fellows will be expected to participate fully in the clinical service, research and education commitments of the MFM Service, under the overall supervision of the Director of the Department of Perinatal Medicine. The Gynaecological Oncology Unit provides Sub Specialist treatment and care to women with gynaecological cancer or pre cancer and the Fellows in Gynaecological Oncology are responsible for the provision of excellent clinical care to women who are outpatients or inpatients of the Royal Women's Hospital and their babies and families. This position offers broad experience in all aspects of gynaecological oncology in this busy multidisciplinary unit. This position offers you a broad experience in all aspects of Obstetric Medicine provided by consultants across a full range of medical specialities. To be successful within this role you will need to have significant experience in general medicine and/or relevant speciality area. It is suitable for an advanced FRACP trainee and is accredited by RACP for training in General Medicine and in Endocrinology. The Laparoscopic Surgery Fellow is responsible for the provision of excellent clinical care to women who are outpatients or inpatients of the Royal Women's Hospital. This position is suitable for accreditation with RANZCOG as a full time Elective Programme training position. The fellow is attached to a busy specialist unit within the Department of Gynaecology. The unit is dedicated to teaching and research, & has large public operating lists each week in general & endoscopic gynaecological surgery. The position will involve a substantial clinical and research workload. This position is suitable for trainees who are in the last year of their FRANZCOG training & have passed both the written & oral exams, or candidates who will hold FRANZCOG in 2016/17. Fellows are expected to commit to the training program and to participate fully in clinical service, research and training in Laparoscopic Surgery, for a 2 year period. The fellow is attached to a busy specialist unit within the Department of Gynaecology. The unit is dedicated to teaching and research, & has large public operating lists each week in general & endoscopic gynaecological surgery. Whilst this position is directly funded for 10 hours per week publically, the remaining hours are funded through learning and teaching in the private sector for a full time position. The average annual salary in the last 3 years is $80,000 p.a. This is an AGES-accredited position. The position will involve a substantial clinical and research workload. This position is suitable for trainees who are in the last year of their FRANZCOG training & have passed both the written & oral exams, or candidates who will hold FRANZCOG in 2016. These positions offer a broad experience in all aspects of Reproductive Medicine whilst being closely affiliated with the Melbourne IVF unit. Candidates should have significant experience in Obstetrics and Gynaecology and hold MRANZCOG or FRANZCOG or equivalent. The Unit is accredited by RANZCOG for subspecialty training in Reproductive Endocrinology and Infertility. This Pauline Gandel Women's Imaging Centre provides Obstetric scanning to the Maternity Service which manages more than 7000 pregnancies per year. The department provides obstetric, gynaecological, tertiary referral scanning and diagnostic procedures. The Unit is accredited with RANZCOG for subspecialty training in Obstetrics & Gynaecology Ultrasound. To be successful within this role you will need to have significant experience in obstetrics and gynaecology and hold MRANZCOG or FRANZCOG or equivalent. 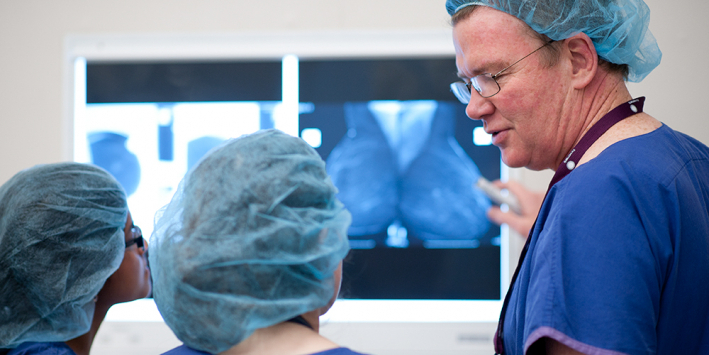 The Fellow in Urogynaecology is responsible for the provision of excellent clinical care to women who are outpatients or inpatients of the Royal Women's Hospital and this position offers experience, training and opportunity to participate in research in this multidisciplinary team providing tertiary level care to women with complex urogynaecological conditions. MB BS or equivalent qualification. The Senior Registrar in Obstetrics and Gynaecology will be responsible for the provision of excellent clinical care to women of the Royal Women's Hospital and their babies and families. Senior Registrar positions are available to trainees who will have completed 4 years ITP training, preferred trainees will have successfully completed RANZCOG written and oral exam, or equivalent. The Women's is committed to providing the best clinical experience; rotations are regularly evaluated and may vary from year to year. Senior Registrar positions are available to trainees who will have completed 4 years ITP training, preferred trainees will have successfully completed RANZCOG written and oral exam, or equivalent. This position is suitable for Level 5/6 who is interested in providing leadership to the Junior Medical Staff and assisting in the co-ordination of education and training the dissemination of information in addition to clinical duties. The successful applicant will represent JMO interests by acting as a representative on committees. Supervision and mentoring of Junior Medical Staff is an expectation within this role. As a Hospital Medical Officer in Obstetrics you are responsible for the provision of excellent clinical care to women who are outpatients or inpatients of the Women’s, and their babies and families. All HMO posts are accredited for the Diploma of Obstetrics of RANZCOG, and for general practice training with positions being available at the Women’s in Parkville and Sandringham Hospital. The Women’s is committed to providing the best clinical experience and education; rotations are regularly evaluated and may vary from year to year and may include a rotation of 3-6 months at Sandringham. To accommodate this position may include rotations in Gynaecology, the Women’s Emergency and/or Women’s Health. In 2016 these positions will be available only to HMO's who have at least two years’ experience. We offer 12 month posts or 6 month posts with rotations to either RMH or Alfred Health for 6 months, or you can make your own arrangements for 6 months. The Women's is committed to ongoing professional development of all junior doctors; a wide range of clinical and audit meetings and specific teaching sessions is provided. The Anaesthesia Department at the Royal Women’s Hospital is one of the largest specialist obstetric anaesthetic departments in Australia and has a national reputation for its clinical care, research and training. Advanced training positions are available for trainees seeking further experience in anaesthesia for obstetrics and gynaecology. Overseas applicants should possess equivalent qualifications such as the FRCA diploma or equivalent and be part of an approved anaesthetic SpR rotation in the UK or the Republic of Ireland. The department is well staffed with full time Neonatologists and training is overseen by a supervisor of training. The Women’s is committed to the ongoing professional development of trainees and a wide range of clinical and audit meetings, and specific education sessions are provided. Trainees are also supported and encouraged to undertake research. The Women's is accredited by the Royal Australasian College of Physicians for 18 months core and 6 months non-core training in Neonatal Perinatal Medicine. This position is suitable for doctors with a minimum of 9 months experience in a tertiary Neonatal Intensive Care Unit and applications for job share/part-time positions will be considered. As a Registrar or HMO in neonatalogy you will work alongside trainees from the Victorian Paediatric Training Program and the multidisciplinary team providing care and support to newborn infants and their families. Each registrar/HMO will have a consultant neonatologist nominated to be his/her mentor/educational supervisor whilst at the hospital. Neonatal Fellows are on site 24 hours per day to provide support and clinical assistance. There is a close working relationship with the Obstetric Department and the paediatric subspecialties based at the Royal Children’s Hospital (RCH). This position offers an active education program with a focus on research and participation in research is encouraged and supported. These positions in neonatal paediatrics are suitable for doctors with previous neonatal experience however this is not essential. Two of these positions may have a 6 month attachment to Albury Wodonga Hospital. The Women's Mental Health Department is well staffed with full time and sessional psychiatrists, clinical psychologists, a psychiatric consultation liaison nurse and infant mental health clinicians. A wide range of clinical and audit meetings and specific teaching sessions for doctors in training is provided. Trainees in these positions have an opportunity to develop high level skills in this specialised and rewarding area of practice and trainees are supported and encouraged to undertake research. These positions are accredited for advanced training by the Royal Australian and New Zealand College of Psychiatrists and are particularly suited to trainees who wish to pursue a career in Consultation Liaison Psychiatry or Women's Mental Health. Applicants must be eligible for registration with the Australian Health Practitioner Regulation Agency (AHPRA) and application for Job Share/Part time positions will be considered. The Women's is a leading provider of the MR guided focused ultrasound treatment programme (MRgFUS). We have a well-established 3T MRI service, specialising in breast, abdo/pelvic, oncology and neonatal MRI. The Women's also offers a comprehensive imaging service including new state of the art digital mammography with tomosynthesis guided intervention capability and contrast mammography, ultrasound, DEXA and general X-ray. The Women's and Neonatal Imaging Fellow position will provide the opportunity for further training and specialisation in these areas as well as opportunities to attend a number of multidisciplinary clinical meetings, including gynaeoncology, neonatal and breast meetings. The position will be under direct supervision of Clinical Director- Radiology. The accredited training position is available for 6 or 12 months, on a full or part time basis. The candidate must display a professional attitude and genuine interest in women's and neonatal imaging. Royal Women’s Hospital is seeking a Dermatology Registrar with an interest in Women’s Health. The Vulval Dermatology Clinic is a unique service providing multidisciplinary care to women and this position provides a trainee in Dermatology the opportunity to gain experience and training in this specialised area of Dermatology practice. To be considered for the position you must be an approved trainee of the Australia College of Dermatology and currently hold registration with the Medical Board of Australia – Australia Medical Practitioner Regulation Authority (AHPRA). The Women's Emergency Care department sees over 27000 patients per annum with a wide variety of women’s health and neonatal conditions. The Women’s Emergency Care (WEC) is seeking to appoint skilled and enthusiastic Senior Hospital Medical Officer / Registrars to a full time position in WEC. This position will not be accredited for training for the Royal Australian and New Zealand College of Obstetrics and Gynaecology [RANZCOG] but with negotiation it could be accredited for a non-Emergency Department [special skills] training time with the Australasian College for Emergency Medicine [ACEM] to a maximum of six months. Your duties will include the provision of high quality clinical care to patients who attend WEC. The Level 4 Core Training Positions in Obstetrics and Gynaecology will be responsible for the provision of excellent clinical care to women of the Royal Women's Hospital and their babies and families. You will be offered rotations in Obstetrics, Gynaecology and Women’s Emergency Care. As the Women's is committed to ongoing professional development of all employees a wide range of clinical and audit meetings and specific teaching sessions is provided. Level 4 positions are available to trainees who will have completed 3 years ITP training, all positions are accredited with the College. Preference will be given to RANZCOG trainees. As a Registrar in Obstetrics and Gynaecology you will be responsible for the provision of excellent clinical care to women who are outpatients or inpatients of the Royal Women's Hospital, and their babies and families. These positions will suit doctors who have at completed 1 year ITP Training or at least 1 year O+G experience at registrar level – Preference will be given to RANZCOG Trainees. The Women's is committed to providing the best clinical experience and education for our junior doctors, along with a commitment to ongoing professional development. We offer a wide range of clinical and audit meetings and specific teaching sessions. To be considered you must hold current general or limited registration with AHPRA, and be a citizen or permanent resident of Australia or be eligible for a visa which permits you to work in Australia. Sponsorship is available. As a Registrar in Obstetrics and Gynaecology you will be responsible for the provision of excellent clinical care to women who are outpatients or inpatients of the Royal Women's Hospital, and their babies and families. These positions will suit doctors who have been successful in your application with RANZCOG for the ITP Training program and you have been nominated by the Health Service to commence your training as a Royal Women’s trainee. The 2018 Recruitment Campaign starts in May 2017. All applications must be submitted to the Women's online applications process by the nominated closing dates. HMOs and Registrars in the Obstetrics and Gynaecology Units (ITPs/Fellows) at the Women’s are offered a minimal number of rotations throughout the year and rotations.